Retirement decisions are about more than money. 2. What Can I Do if My Husband Wants to Retire Too Early? 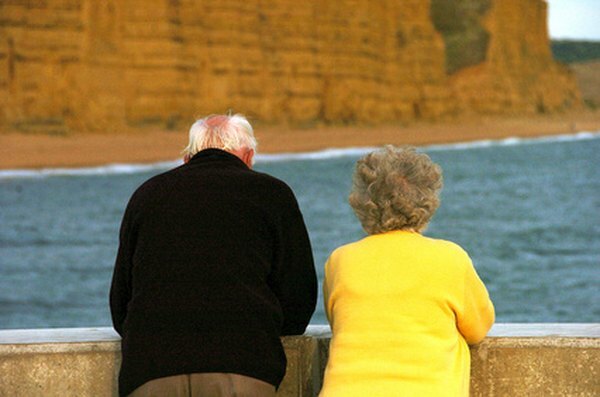 Retirement may make up a large portion of a person's life, spanning a longer time frame than what you spent in school. Decisions about retirement, including when to retire or if you should continue to work part-time during retirement, must be considered carefully. While the financial part of the retirement decision may boil down to how much money you have in the bank or invested, the emotional part of this decision often is not as clear-cut, and depends on a number of other factors. The financial aspect of retirement may come down to if you have accumulated money enough to retire. But this is not a simple question to answer. A comfortable retirement means different things to each individual. Some may want a higher standard of living during retirement to allow for travel and other recreational pursuits, while others may be happier with a simpler lifestyle. You also want to be certain that you have accumulated enough net worth so that you do not outlive your money. According to "Consumer Reports" magazine, money is not the major factor in retirement happiness. Seventy-five percent of all retirees with a net worth of $1 million reported that they were happy with their retirement. The percentage of happy retirees did not rise significantly at higher net-worth levels, and half of all retirees with a net worth of less than $250,000 were still highly satisfied. Unhappy retirees reported not developing interests or friendships, as well as not taking care of their health, as key reasons for their unhappiness. Your health can play a key part in your retirement decision. If you are in good health, you may elect to continue working and fund a more robust retirement. You may also elect to retire while you can still enjoy a healthy life. If your health is declining, and your life expectancy relatively short, you may elect to retire and enjoy what remaining time you may have. In this case, money may play a much smaller part in the decision. If you enjoy your job, you may not be anxious to retire, even if you have accumulated money enough to do so. Job enjoyment can fulfill a strong need for self-worth in you, and that emotional gratification may be enough to keep you working, and may cause you to be less conscious of the financial parts of the decision. Kiplinger.com: What Will Make You Happy in Retirement?